when it came to charging a spare battery for their Treo. 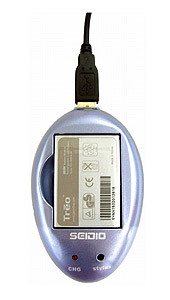 your spare Treo 650 battery. The InnoCharger will be available in Blue and Silver. Update: The InnoCharger is avaiable now and retails for $21.95.